The spectacular 2003 Pontet Canet is still incredibly young and vigorous. This full-bodied classic boasts a dense purple color as well as a superb nose of graphite, creme de cassis, forest floor, licorice and a hint of truffles, low acidity, and extravagant richness. Most of the tannins have been resolved in this superstar of the vintage. It should continue to drink well for 10-15+ years.Drink: 2014 - 2029. Tasted at Bordeaux Index's "10-Year On" tasting in London. 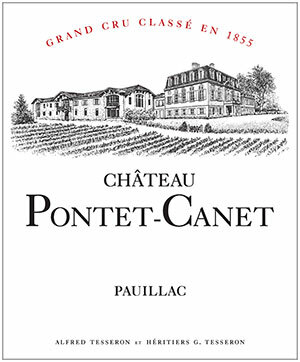 The Pontet-Canet 2003 has a very pure, quite alluring bouquet with blackberry and a touch of blueberry, mint and cedar. It is quite refined compared to recent vintage with very good focus. The palate is medium-bodied with a very supple, harmonious entry. This Pontet Canet is silky smooth and very composed, though it is missing a little complexity and ambition on the finish. But otherwise this is a lovely Pauillac that is drinking beautifully now. Tasted March 2013.